View towards Towan Beach and Greeb Point. A fine south east facing sandy beach. 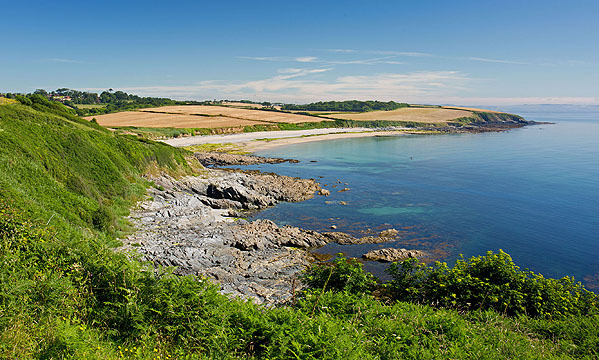 Parking at Porth Farm on the road to St Anthony makes this secluded Beach a popular spot !